Managing conflicts of interest in both the public and private sectors has become a major governance issue world-wide. Identifying and resolving specific conflicts of interest can be difficult. 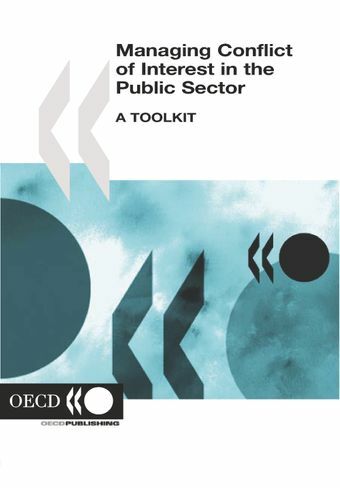 This Toolkit focuses on specific techniques, resources and strategies for identifying, managing and preventing conflict-of-interest situations more effectively and increasing integrity in official decision-making which might be compromised by conflicts of interest.This Toolkit provides non-technical, practical help to enable officials to recognise problematic situations and help them to ensure that integrity and reputation are not compromised. The tools themselves are provided in generic form. They are based on examples of sound conflict-of-interest policy and practice drawn from various OECD member and non-member countries. They have been designed for adaptation to suit countries with different legal and administrative systems.